I recently attended a ten-day silent meditation retreat. The fifty participants started each day at 4:30am and meditated a total of ten hours per day. Strict rules were in place to minimize any distractions: no talking, no technology, no reading, no writing and no looking anyone in the eyes. Novelty carried me through the first day. The second day felt like more of a chore. By the third day I was approaching each session with a mix of anxiety (I can’t make it through this!) and incredulity (Why on earth did I sign up for this?) But I kept going. In fact, I didn’t skip any of the 70+ mediation sessions over the next ten days and here’s why: every session went differently than I thought it was going to go. Because I had not done anything like this before, I had no expectations. And having no expectations amplified my sense of curiosity. In fact, the more curious I was, the deeper I was able to go in meditation. Some sessions were full of deep insight and clarity. Some brought out a sense of creativity in me I didn’t know I had. And, yes, some were simply excruciating. But overall, I was constantly surprised by how each session went. Later, I found out that what I was experiencing is called Beginner’s Mind. I was not going into these sessions with any preconceived ideas or expectations. A Beginner’s Mind is an enormous advantage in the workplace, particularly in market research where each project we tackle is unique and requires a fresh perspective. I now understand that it is a Beginner’s Mind that allows us to approach our client’s business issues with an open, curious mind. It is a Beginner’s Mind that will take the conversation in unforeseen directions, opening up new spaces of insight and possibility. 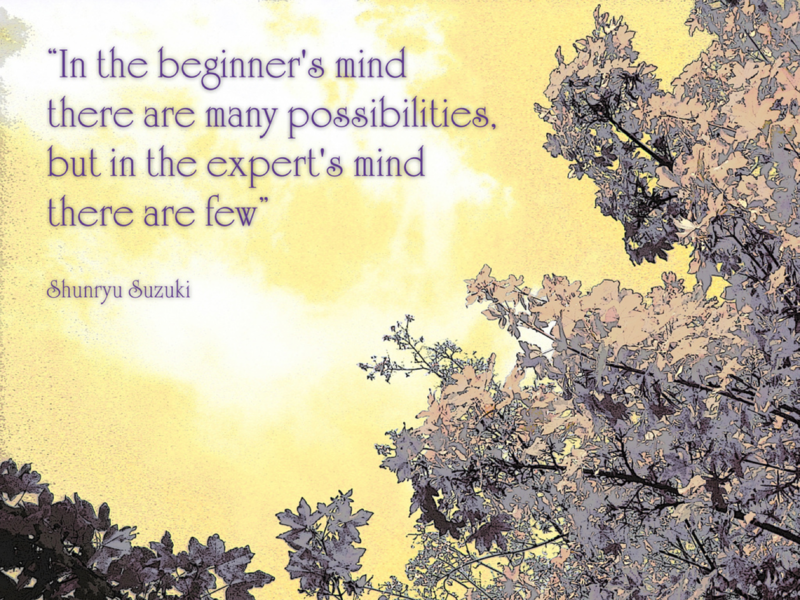 A Beginner’s Mind is one of the best tools we have in our search for insights. You don’t need to do a ten-day meditation retreat to practice a Beginner’s Mind. It is available to all of us, anytime. Try something you’ve never done before, watch a beginner attempt to learn something new, ask your intern for their advice on a business problem. Or call us. Claire Booth is Owner and President of Lux Insights, a full service and independent Market Research firm. Lux provides tailored solutions to help clients of all sizes across a wide range of industries. With offices in both Vancouver, British Columbia and Seattle, Washington, we work with leading branding, design and agency partners to help clients put their research to work.